I was lucky to win this little set in a the DailyMix Birthday Giveaway and it was my first of the bigger Benefit kits. I had three of the smaller ones in the past (Just In Case, Smokin Eyes and another one I can't remember the name of). All of them were fab and I actually used most of the products up, back when I didn't own enough makeup to last me a lifetime :) haha. 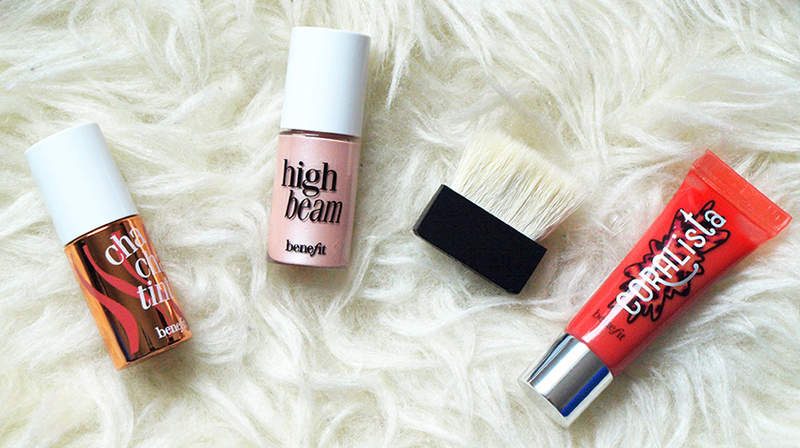 The new addition to my Benefit stash features some of my favourite shades and one of my most used highlighters, so I will get a lot of use out of the kit in Spring/Summer. I think you get a lot for your money, considering the price and quality of Benefit products and if you shop in Debenhams, you will be able to collect some points on your beauty card too. That's where I like to shop to save a bit of money on my beauty purchases. 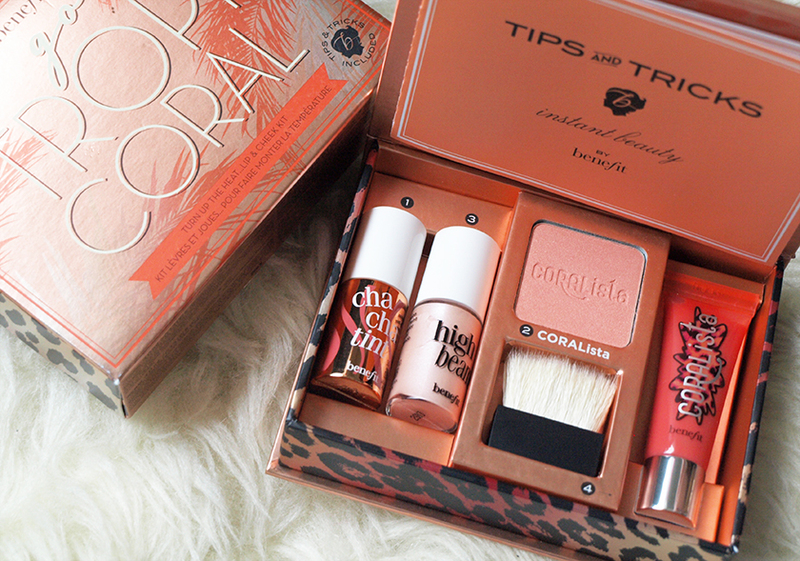 I love the colour of the Coralista blush, it is a nice subtle coral with a bit of shimmer and it doesn't look too orange. The liquid highlighter is a stunning pearl shade, with a hint of pink and it adds a lovely glow to the cheeks. The chachatint can be used as a lip or cheek stain and it provides a long lasting, vibrant colour. The last thing is the Coralista lip gloss, perfect if you like glossy lips with a wash of colour. You also get a little brush for applying the powder blush. 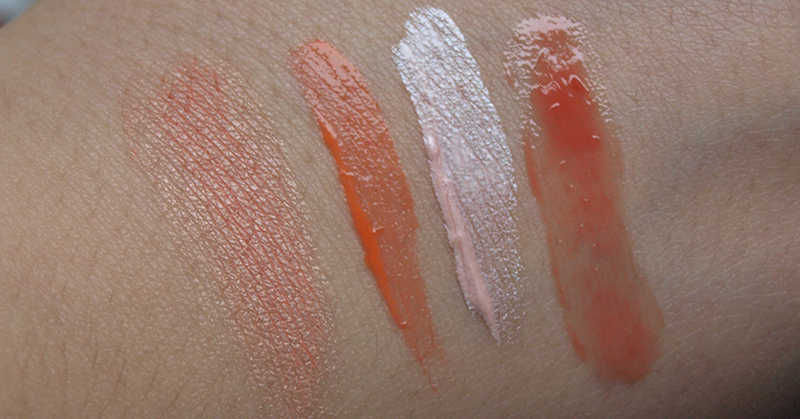 You can see all the swatches below. I really like this little set and I will probably buy it (or another colour option) in the future as birthday or Christmas presents. The packaging is cute and the products are lovely. 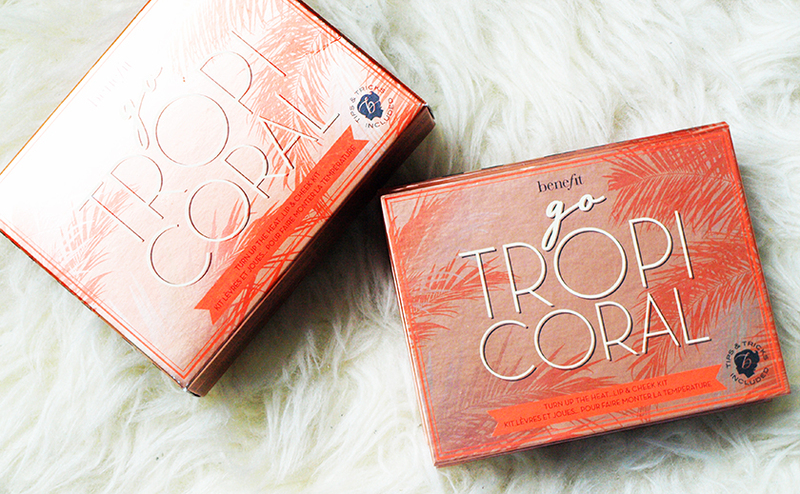 Do you own any of the Benefit sets? Do you think they are good value for money?